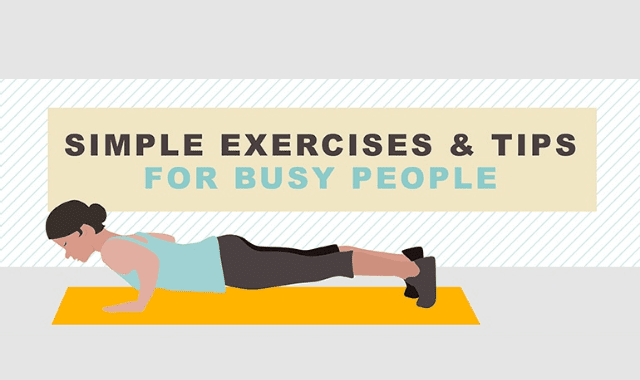 Simple Exercises and Tips for Busy People #Infographic ~ Visualistan '+g+"
This guide has five exercises each for the upper and lower body. All are high-impact and designed to work as many muscle groups as possible. It's called multi-tasking! You can combine a variety of these movements to create your very own workout. Combine that with some jump-rope to get the heart rate up, and your workout is over before you know it.